Hazel Fluffypants is an award-winning writer, cartoonist, and aspiring Oprah Kitty. She has conducted over 50 intermews with authors and cats. If you are an author or a cat, she would like to intermew you too! Hazel likes to write, draw, and play crunchy toss with her dry food. 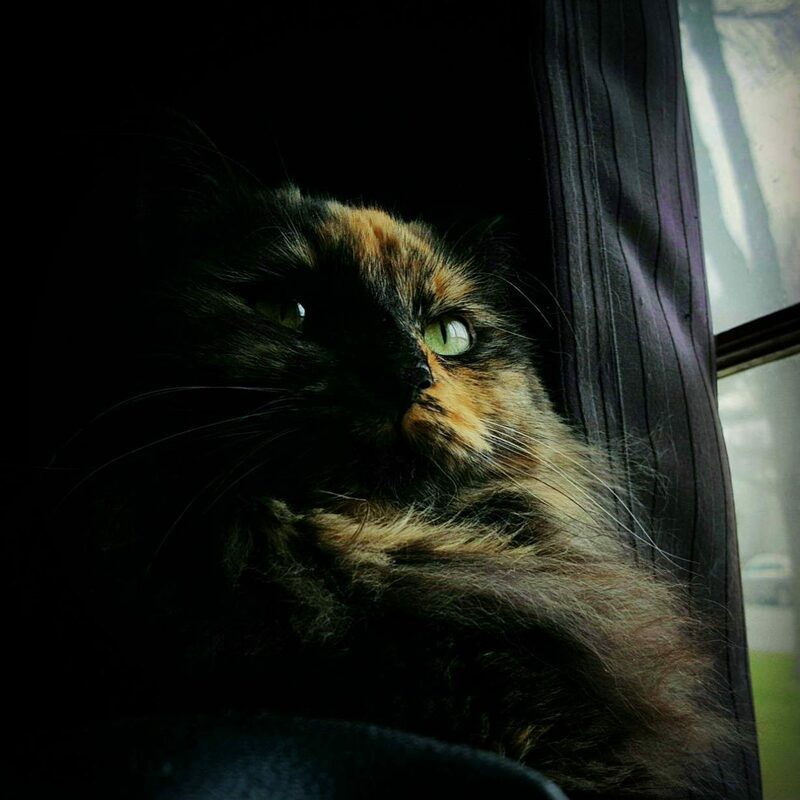 She’s a fluffy tortie kitty with plenty of tortitude, but she’s also sweet and knows how to comfort you when you are sad or help (/get in the way, same thing) when you are fixing something around the house. Hazel won the University Book Store Academic Excellence Award in 2015 for her independent study project, Flaky the Snow Cat, advised by Professor Lynda Barry at the University of Wisconsin-Madison. She has published comics in The Badger Herald and The Cap Times and articles in Wisconsin People & Ideas magazine, including a feature essay on music for cats. In April 2016, Hazel’s book proposal was selected by James Patterson as a top-three finalist for his first MasterClass Co-Author Competition. Hazel is currently developing a middle grade book series.